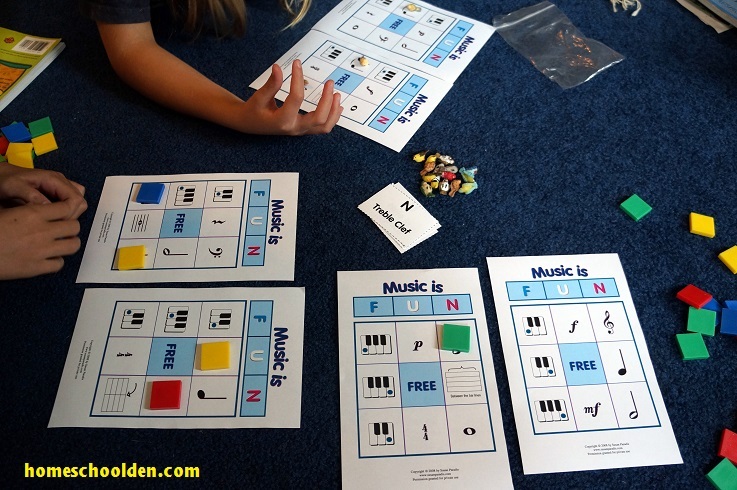 We have a ton of free Music Appreciation materials for beginners. 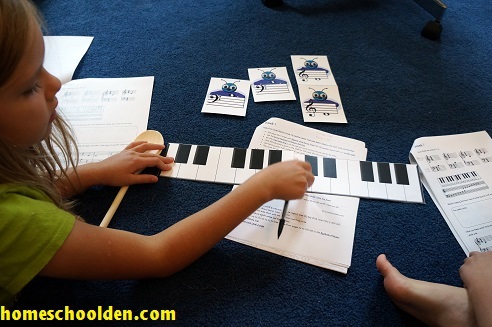 We added music into our homeschool day several years ago when the kids were 7 and 9 and the kids learned the notes on the staff, rhythms, and basic facts about some of the most famous composers. 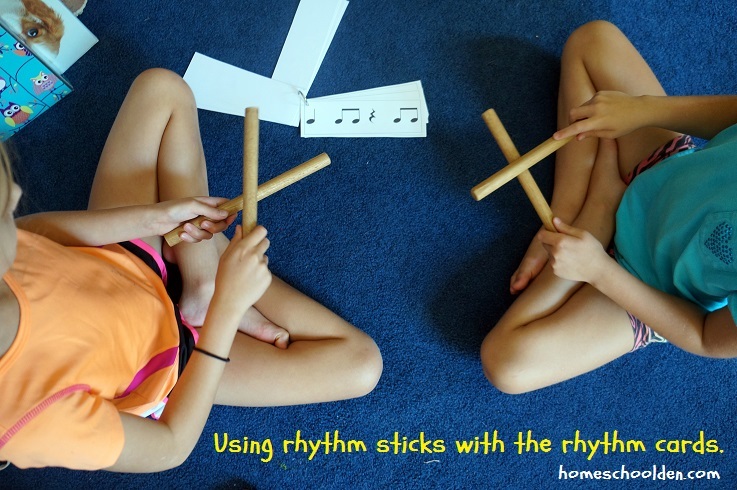 They had a lot of fun… from using wood spoons to slam down on different music notes… to playing music bingo, practicing rhythms and more!! 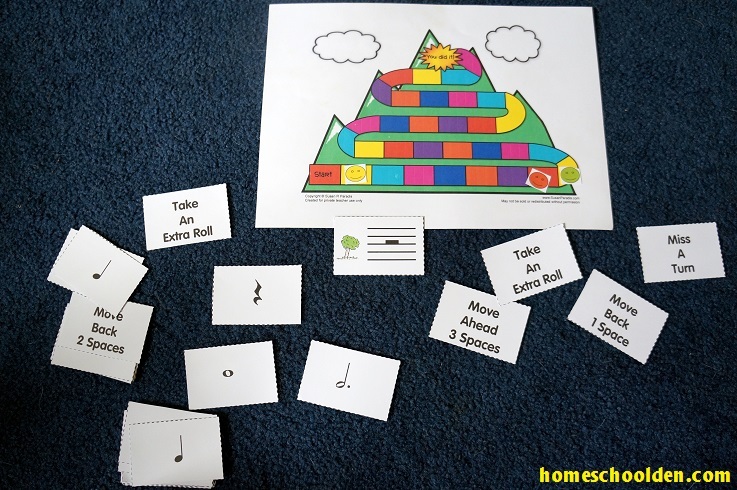 Someone in my local FB group was asking about music appreciation materials… and I thought it was about time to highlight these posts again! These are some of the free music resources we have on the website for those of you who might be doing this with your kids this year! As I said above, my youngest was 7 1/2 when we did this. The kids also learned a bit of piano and played the glockenspiel as we did this. Then the next year she was able to start learning the trumpet and French horn (at age 8 1/2!) since she had some music background, so I was really happy we spent time learning all this! My older daughter started learning the flute about the same time that we did all this. My son (who was 11 played a few of the games, but he mostly knew this material so didn’t participate as much). 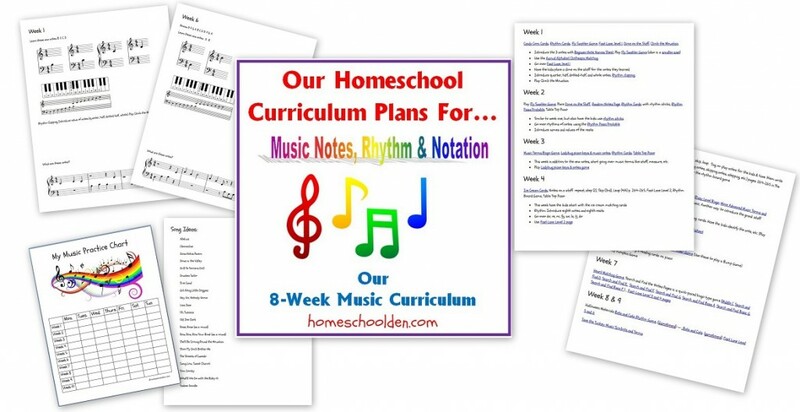 Free Beginner’s Music Curriculum: Learning Notes, Rhythm, Music Notation and More! You’ll find a free printable here. This lays out what we did week-by-week. I used other people’s free resources and as I recall, I have lots of links to their materials. If you find any broken links, be sure to let me know so I can fix that up for you! 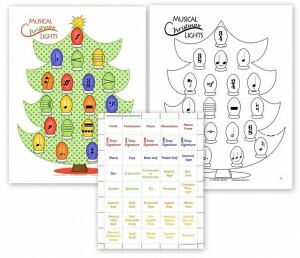 We also used The Big Book of Music Games, Grades K – 5. 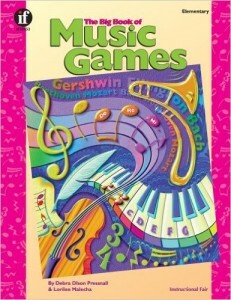 (Affiliate Link) This is a great resource for learning music symbols & notes. 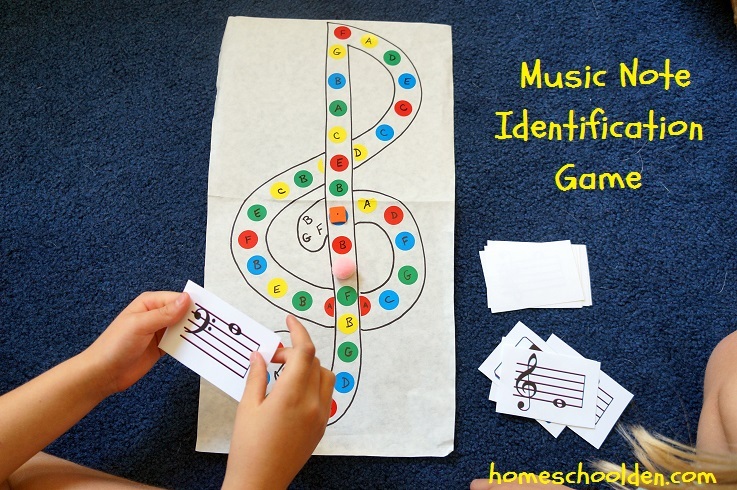 It is NOT a book for playing musical games like singing games or group games (such as square dancing type activities), but is absolutely perfect for our purposes (learning notes, various music symbols, learning about intervals, etc.). This book of more than 275 pages of games and activities you can photocopy. It’s really awesome! Here are a couple of other music books used fairly regularly through the years. 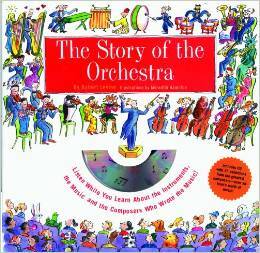 The first is Story of the Orchestra : Listen While You Learn About the Instruments, the Music and the Composers Who Wrote the Music (affiliate link) which has very short descriptions of the major composers (from Vivaldi and Back to Copland and Bernstein). It highlights the orchestra instruments. 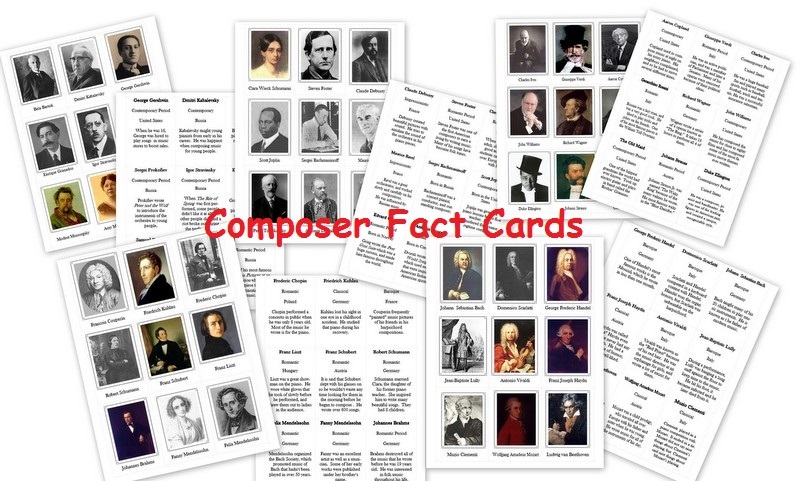 It comes with a CD with 37 selections from many of those famous composers (about an hour). I *really* like the CD!! 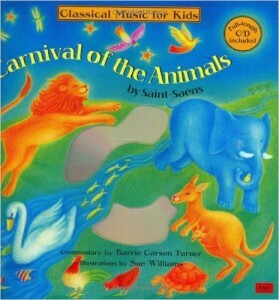 The other book I like a lot is Carnival of the Animals: Classical Music for Kids. (affiliate link) Each animal had its own special music and the book is a wonderful companion to the CD. Did you know the famous French composer, Saint-Saens. wrote this famous musical as a joke for his students? It become one of his most famous and well known pieces of music. The book highlights the animal’s instrument you hear in each piece. My kids have enjoyed both of these books immensely through the years. 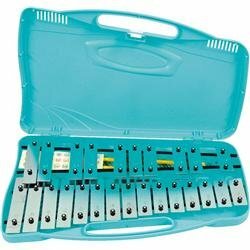 I really like the sound and quality of the glockenspiel we got years ago — it is a Lyons glockenspiel (affiliate link) and is now about $25 at Amazon. The notes are all in tune and have a really pretty sound. It has held up well through three kids… including babies and toddlers who colored on it, banged on it and generally treated it roughly. As a musician (I play the oboe, guitar and piano), I was really impressed with this instrument. 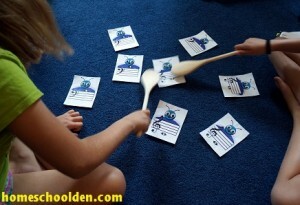 It worked really well for us as a first instrument for the kids! 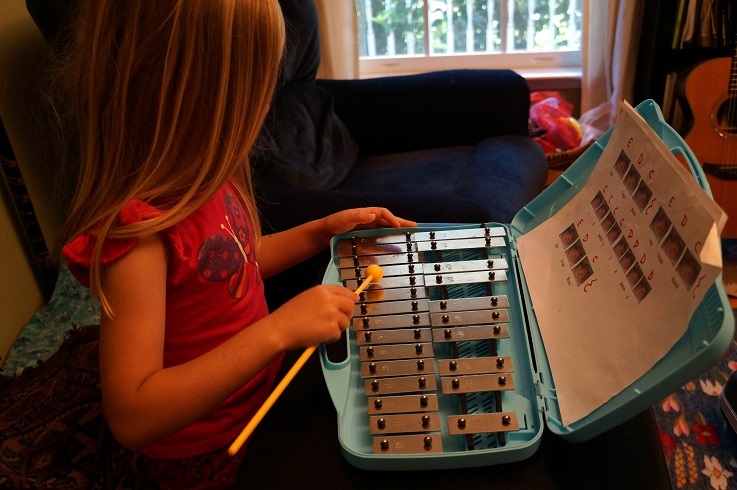 (Remember, we bought a Lyons glockenspiel… I know there are tons of different options on Amazon and I don’t know about the quality of other brands (i.e. whether they are in tune). 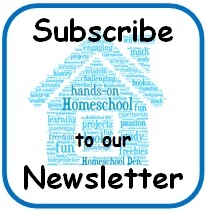 Previous story Homeschool Confessional – Apologies – Construction, etc!